The users of Windows live messenger can talk to their friends with the help of Skype. This news of the update and integration of the messenger has come after the reports that Microsoft is no longer using the Messenger and is retiring the Windows Live Messenger in favor of Skype due to the increased usage of Skype. 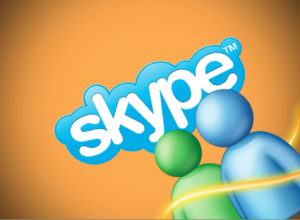 Skype president, Tony Bates, has written a blog post that confirms that the Messenger will be retired in all countries except for China till the first quarter of 2013. This update for Windows live Messenger started in October with the release of Skype 6.0 for Mac and Windows. In the Skype 6, the users have the option to sign in to their Skype accounts with their Microsoft ID. The officials of the Skype are quite hopeful that this update will bring more users to the Skype. The users have now the option of log into the Skype with their Live Messenger ID. They have also the option in this update to merge the account with an existing Skype account. This update is no doubt and exciting and interesting thing and this will bring no doubt a lot of changes. But still this update of the merger of both the entities has the certain question. For example, there is one question that what will happen to third party clients that use the Microsoft Messenger protocol? Another question is there that will these changes also be available to the Xbox Messenger service? But truly speaking, this update will be an interesting thing and more and more users will attract to this update, an official spokesperson of Skype claims.